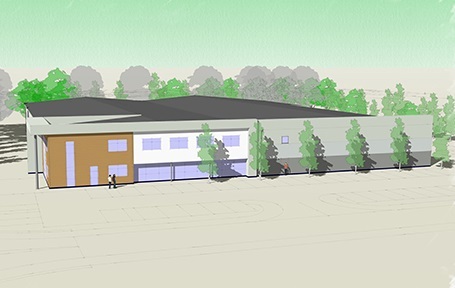 JR Pickstock Ltd, an associated construction company, within The Pickstock Group, is due to commence construction works at Cilmedw on the new Dobson & Crowther print works this month. It is anticipated that the first phase will take around 7 months to complete and that the construction on the new food store site will start in the second half of the year, once Dobson and Crowther have decanted into their new premises. J-Ross Developments has worked closely with Dobson and Crowther on the design of their new 4,180sq.m. (45,000 sq.ft.) purpose built factory. The development represents a significant investment for Dobson and Crowther, who with approximately 100 employees is Llangollen’s largest employer, allowing their current operations to be modernised, achieving improved efficiencies which will ensure that they remain competitive in their market and helping to support the future of their business.